I discovered this wonderful newsletter after it had ceased production in 1998, but all the issues are available for free here (note: these are .pdt files so you need to have the free Adobe Acrobat Reader). I've read them all and they are thoroughly enjoyable. Clark Kenyon of Camp Pope created and published these little gems, which are full of articles, editorials, news, and reviews directed entirely at the war in the Trans-Mississippi west. Additionally, many issues contain special features that are useful for researchers, such as a complete bibliography of Iowa units in the Civil War. Banasik (ed. ): "Duty, Honor and Country"
I am very impressed with the overall effort behind Duty, Honor and Country, Camp Pope's latest contribution to its long standing (and much appreciated) leadership role in the publication of primary source materials from the Civil War's Trans-Mississippi theater. Captain Black's letters are presented in an attractive, yet sturdy paperback, richly augmented with notes, maps, and illustrations. The notes deserve special mention. "Unwritten Chapters of the Civil War West of the River" series editor Michael Banasik's annotations are deeply researched and highly informative. Background material for persons, places, and events mentioned in the letters are lengthy, detailed, and often constructed from a great variety of sources. Each letter is thus placed in as broad a context as possible. A complete roster of the 37th Illinois is also provided, a gem for researchers and an "extra" I don't recall ever seeing in an edited volume of letters before. Orders of battle for different periods of the 37th's service are also included in the appendices along with some supplemental letters. Overall, the volume of information included in the book along with the level of skill and expertise in the editing far exceeds what one normally finds in a published letter collection. As the introduction above notes, Capt. Black experienced the war in all the states of the Confederate Trans-Mississippi. He doesn't relate his battle experiences in great detail--except for an account of the battle of Prairie Grove for the National Tribune--but Black writes well and does provide the reader with great insight into the often destructive world of officer politicking in a Civil War regiment. The subject is brought up to some degree in almost every letter, often involving the writer's older brother, Col. John Black. A picture of camp life at various postings throughout the T-M is effectively drawn, and some of Black's most interesting and novel observations involve border happenings near Brownsville, Texas during the war's latter period. I would highly recommend Duty, Honor and Country's inclusion in the library of any reader or researcher of T-M Civil War history. The experience has certainly left me favorably disposed toward obtaining other volumes in the series and we can only hope future installments are planned as well! This is just a list of interesting looking books (to me anyway) released anywhere from now to the beginning of next year. Basically, books I wouldn't kick out from under the Christmas tree. Through the Howling Wilderness: The 1864 Red River Campaign and Union Failure in the West by Gary Joiner (University of Tennessee Press) -- this one arrived last week and I just got started into it. ARMY OF THE POTOMAC. Vol. 3 McClellan's First Campaign by Russel Beatie (Savas Beatie) -- Can't wait for this one, but not a big fan of the title...I guess I'll always consider McClellan's West Virginia campaign his 'first'! Jo Shelby's Iron Brigade by Deryl P. Sellmeyer (Pelican Publishing Co.) -- Pelican doesn't have a webpage up for this one yet, so I unfortunately don't know anything more about it. Marvel: "Mr. Lincoln Goes to War"
Marvel's argument that economic forces were a primary consideration [on what scale this factor was greater than, or largely apart from, patriotism, ideology, etc. he doesn't say, but it would certainly be difficult to measure] for enlistment in the Union army was interesting, mostly for how it brought into focus the Panic of 1857 and the later effects that secession itself had on nationwide commerce. It made me wonder just what was the overall economic situation in the U.S. during the 1860 election season, and was it even a factor in a national political campaign so overwhelmed by sectional issues. How Lincoln handled his constitutional authority was another major theme. Here, Marvel is less forgiving than Neely and Farber . Again, although I recognize the book was written in popular non-fiction form, I would liked to have seen a more structured criticism of the current Lincoln scholarship on the subject of civil liberties in Maryland, Kentucky, and Missouri. As an aside, in his assessment of Nathaniel Lyon in Missouri, Marvel, with some confirmation provided in his Acknowledgments section, appears to be heavily influenced by Christopher Phillips's psychobiography of the general [Damned Yankee: The Life of General Nathaniel Lyon (1990)], which I heartily recommend reading. As another aside, Marvel certainly adheres to the traditional view of Robert Patterson's valley campaign, with no mention in the text or bibliography of David Detzer or Russel Beatie's recent contrarian arguments. In the end, perhaps the greatest criticism leveled at Lincoln by Marvel is his opinion that Lincoln insisted on war from the very start, eschewing any serious consideration of peaceful alternative options--either to just let secession stand or to buy time for passions to cool in hopes of later reconciliation. However, Marvel's argument lacks needed punch as it fails to clearly delineate just what those options were and what relative strengths and weaknesses they offered. This doesn't even get into how acceptable any of them would have been to the cabinet, the Congress, the courts, and an inflamed American public--a subject certainly worthy of deep consideration. By his own estimation, in the interminable "Lincoln--saint or satan?" debates, the views of Marvel come down somewhere in the middle of the spectrum. His hard but still nuanced look at Lincoln's actions may disappoint some readers wishing to read a book whose thrust is more black and white or provocatively partisan, but we've seen enough of those in recent times. On the other hand, instead of using them in conjunction with a lengthy, well-trodden narrative history of the Civil War's early months, I rather wished Marvel had expanded more on his own arguments--and more sharply defined and supported them. Finch: "Confederate Pathway to the Pacific"
L. Boyd Finch's Confederate Pathway to the Pacific: Major Sherod Hunter and Arizona Territory, C.S.A [The Arizona Historical Society, 1996 (OP)] is about as definitive an account of Confederate Arizona as we are likely to get. The territory, stretching from California to Texas (think of an east-west running line splitting in half the area comprising the present states of New Mexico and Arizona instead of the current border), would be the object of many schemes for the expansion of the Confederate state to the Pacific coast. Confederate Pathway to the Pacific is a deeply researched and well-written study. Finch does a wonderful job of 'setting the stage' for his later narrative of the war years. He traces the early settlement and nascent economic development of the region, noting the creation of a Southern-leaning "Arizonian" identity among many of the territory's most prominent citizens. The situation of the various Indian groups in relation to the settlers and each other is also detailed (especially the many conflicts with local Apache bands). No major battles were fought between opposing Union and Confederate forces in Arizona. When Henry H. Sibley invaded New Mexico, he detached Capt. Sherod Hunter's company for an advance west into Arizona. Soon, Hunter was ensconced in Tucson. This move served both to guard the left flank of Sibley's main army as it advanced north into New Mexico and to secure the newly created Arizona territory for the C.S.A. However, when the U.S. army's "California Column" advanced into Arizona from Fort Yuma, the vastly outnumbered Confederates were soon ejected. The Union territorial occupation was relatively easy, with logistical problems holding up the advance more than any other factor. The affair at Picacho Pass, a picket post skirmish at best, was the most prominent military action [Flint Whitlock, in his book Distant Bugles, Distant Drums: The Union Response to the Confederate Invasion of New Mexico , modestly recommends Finch's book as the best account of Picacho Pass, but it is really only marginally more detailed than Whitlock's own recounting of events at the pass]. With the failure of Sibley's 1861-1862 New Mexico campaign, Confederate troops were shifted to other fronts, mainly the Gulf coast and east Texas. However, this did not stop various civilians and military officers from scheming to regain the lost territory of Arizona. Finch outlines these plans in the text, and details how and why none ever came to fruition--or ever really enjoyed serious support from the Confederate government. The last section deals with the post-war lives of the various figures who played prominent roles in Confederate Arizona. Confederate Pathway to the Pacific is really a great book and merits an enthusiastic recommendation. Its high quality research, writing, and content are augmented by a beautiful presentation--the publisher, The Arizona Historical Society, deserves a lot of credit here for going the extra mile. I sincerely hope this worthy study will be reprinted in the future. Bill Gurley, co-editor with Cynthia Pitcock of "I Acted from Principle": The Civil War Diary of Dr. William M. McPheeters, Confederate Surgeon in the Trans-Mississippi (published by University of Arkansas Press as part of The Civil War in the West series), recently emailed me with some kind words about this website--which were greatly appreciated by me--and he also informed me of some of his current projects. 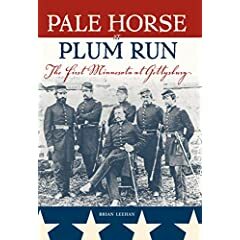 "This chapter discusses the medical casebook of Confederate surgeon Dye was a surgeon from Texas in charge of the Texas Branch Hospital following the Battle of Jenkins' Ferry. What makes Dye's journal so unique is that it is not only a chronicle of Confederate medical practice in the Trans-Mississippi, but Dye drew pictures of all of his patients. I've never seen another Confederate medical casebook like it. The chapter in Mark's book is just a small sampling of the 125 cases Dye describes. I am working on editing and annotating the complete casebook for publication. Its tentative title is "Yankee Bullets, Southern Blood: The remarkable casebook of Confederate surgeon Henry M. Dye." The book will examine a wide variety of Civil War medicine topics using each case as an template. Whenever possible, the post-war biography of each patient will be explored since many of Dye's patients (Texans, Arkansans, and Missourians) filed for pensions after the war, and several left reminiscences. Dye's approach to medicine, in many respects, turns the stereotypical view of Civil War surgeons on its head. One chapter of the Dye book will focus on the Battle of Jenkins' Ferry since 108 of the 125 cases were wounded in that fight. Many new and unpublished sources will be used for this discussion of the battle." Bill is also working on a history of Mosby Monroe Parsons' division of Confederate Missourians, a project which we will alas have to wait several more years for. Its completion will mark the culmination of over 15 years of research, and with Gurley's passion for discovering unpublished source materials and for good maps, I am greatly looking forward to its publication. With the recent release of Richard Lowe's history of Walker's Texas Division and the work in progress by guys like Bill and Donald Frazier, it looks like there is some welcome momentum gathering for the publication of more Trans-Mississippi unit histories. KH Press has no website or email as far as I know (you'd think he would these days). An email correspondent mentioned the price as $33 plus $2 shipping direct from the publisher, but I can't confirm that. I don't believe any of the major online booksellers like Amazon, B&N, etc. carry them, but Morningside Books and C. Clayton Thompson carry Hafendorfer's books new so that's an alternative source for purchase information. The answer to Dimitri's post today on Civil War Bookshelf is YES--a resounding yes! Pemberton has every opportunity to win Campaign Vicksburg in the field. I picked up the used copy of Iowa's Forgotten General by Kenneth Lyftogt that I mentioned earlier on CWBA. I'll have a review of it up soon. 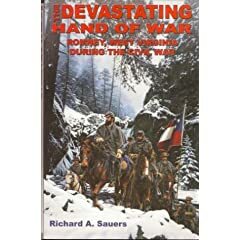 Sauers: "The Devastating Hand of War"
Richard Sauers' A Succession of Honorable Victories (published by Morningside, and I believe OP) is a wonderful history of the Burnside Expedition and one of my favorite Civil War books. It inspired me to get a hold of a copy of one of his later works titled The Devastating Hand of War: Romney, West Virginia, During the Civil War (Gauley Mount Press, 2000). At 94 pages of text, the book is a brief overview of the military events surrounding Romney, West(ern) Virginia, a small town located in the valley of the S. branch of Potomac River around 40 miles west-northwest of Winchester. Romney was strategically important as its location near the B&O railroad and Chesapeake & Ohio canal made the town a prime jumping off point for raids upon those important Northern supply and transportation entities. It was fought over and occupied by both sides numerous times. Guerrilla warfare was also common to the region, and Sauers covers it all, but probably not with the depth desired by the more demanding students of the military aspects of the Civil War. 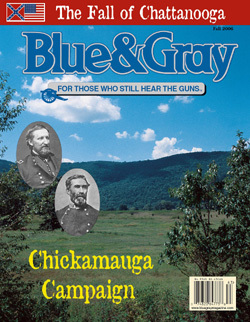 The numerous articles by the Haselbergers (Fritz and Mark) published in the West Virginia History journal cover the various battles, skirmishes, and raids in much more detail and often include some very nice maps [curiously, none of these articles were consulted by Sauers, who did rely heavily in places on other secondary sources like Thomas Rankin's Stonewall Jackson's Romney Campaign, which I haven't read but was reviewed by Brett on his blog]. The maps in Devastating Hand of War allow you to locate various geographic points (and there is a nice sketch of the Romney environs), but many locations described in the text cannot be found on the maps provided and none trace troops movements, so it helps to have other sources handy so it all doesn't become a numbing blur. A concluding chapter includes a brief assessment of the war's damage to the civilian population, but the study's overwhelming focus is military and it can certainly be recommended on those grounds. It should also be mentioned that all royalties from the sale of the book go to a worthy cause--the Fort Mill Ridge Foundation to preserve the fortifications there and maintain the museum. Self plug: "Campaign Vicksburg" released today! HPS Simulations has announced the release of Campaign Vicksburg, the seventh installment of their American Civil War series. This is the fourth Civil War computer wargame that I've done the scenario design work for software developer John Tiller and publisher HPS Simulations (Corinth, Ozark, Peninsula, and now Vicksburg). Vicksburg is my first co-design with my friend Lee Hook. Earlier in the year, I jumped on board to create the campaign feature and help with scenario design, but Lee's been toiling away on this project since 1998. I was glad to help and it's great to see the project completed and published. The campaign is played over a large area from Snyder’s Bluff south to Port Gibson and from Vicksburg east to the state capital of Jackson. On the advance, the Union player can choose among several strategic pathways with the ultimate goal of capturing Vicksburg. The Confederate guardians of the “Hill City” can elect to act purely on the defensive or counterattack instead. The choices are yours. At each stage of the campaign, players choose operational decisions that will result in a tactical battle to be played out on an expansive map, providing room for maneuver. The campaign is non-linear, with both offensive and defensive operational options available to each side." I just received the latest Camp Pope Bookshop catalog (#42) in the mail. One item of note is the publication of Vol. 6 of the press's "Unwritten Chapters of the Civil War West of the River" Series. While browsing a used bookstore last weekend, I glanced through a copy of another recent Camp Pope offering (Lyftogt, Kenneth. IOWA’S FORGOTTEN GENERAL: MATTHEW MARK TRUMBULL. Iowa City, IA: Camp Pope Bookshop, 2005. Illustrated, maps, notes, bibliography, index, 128pp. $10.00.) This book didn't arouse much interest in me when it first came out. Now I see it contains quite a bit of information about early war events in Missouri north of the Missouri River. It looks well done. I periodically check Savas Beatie's Under Contract page to see what's in the pipeline. New Civil Warrior Sean beat me to it, but it deserves repeating that Edward Cunningham's dissertation The Shiloh Campaign, 1862 will finally be published (with some kind of assistance by Timothy Smith and Gary Joiner). I am really looking forward to this one. I first heard about Cunningham's monograph back in May when David Woodbury directed me to the transcripts from his Civil War Forum author interviews. The interview with ranger Stacy Allen praised Cunningham highly, particularly for his treatment of the battle's first day. He also mentions "The Battle of Shiloh and the Organizations Engaged," (out-of-print) by Maj. David W. Reed. According to Allen, Reed's book is the best tactical treatment of the battle. Maybe we can get a new edition of Reed someday as well. Fisher: "War at Every Door: Partisan Politics and Guerrilla Violence in East Tennessee, 1860-1869"
Noel C. Fisher's well-balanced and deeply researched War at Every Door: Partisan Politics and Guerrilla Violence in East Tennessee, 1860-1869 long occupied a spot on my Civil War bookshelf, asking to be read but continually passed over. Well, I finally got around to reading this award winner and I wasn't disappointed. Dividing Tennessee into three regions (west, middle, and east), Fisher begins by discussing the political, social, religious, and economic divisions within the state from its origins through the secession crisis. The author's own statistical analysis (Appendix A) is presented along with a summary of the work of previous historians on the subject of East Tennessee unionism. There isn't total agreement across the board but issues like Whig party affiliation, relative scarcity of slaveholding, and a unique geographical & political identity seem to have a broader acceptance than the others. Overall, it's a southern Unionism whose uniqueness was only equalled by that nurtured in West(ern) Virginia. Fisher examines in detail the contrasting policies of Confederate garrison forces, which began as highly conciliatory under Felix Zollicoffer before predictably transforming into repression under later commanders, and the later Union occupiers, beginning with Ambrose Burnside in 1863 [this reminds me that we need a modern book-length study of the Union army's invasion and occupation of East Tennessee, 1863-1865. As far as I know, none yet exists]. The postwar period, which saw a great exodus of pro-secession families from the region (esp. from Knoxville), is also covered at some length. From a look at the bibliography--the word 'wow' comes to mind--and notes, it is apparent that Fisher condenses a great deal of indepth research and knowledge into his relatively short and highly readable manuscript. 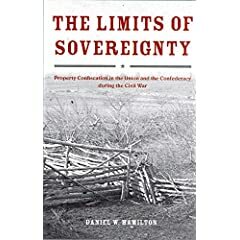 This summarization of results and focus on prominent community and military leaders may disappoint some readers, and it is probably true that the book would have benefitted from including more passages that directly relate the traumatic experiences of the region's inhabitants, both unionist and Confederate. Overall, though, I would consider War at Every Door essential reading for those trying to understand the Civil War in East Tennessee.